Shannon Albert, the founder of WDWPrepSchool, is with me today to discuss planning a WDW vacation with the new FastPass+. We discuss all aspects of this new system that was recently implemented throughout Walt Disney World. We talk about the future of Walt Disney World and what we will see when Star Wars and Avatar both come to town. Also, Shannon admits that Disneyland is the place for Disney fans to visit right now. This week’s Disneyland secret features the doll inside of it’s a Small World designed to look like Mary Blair. 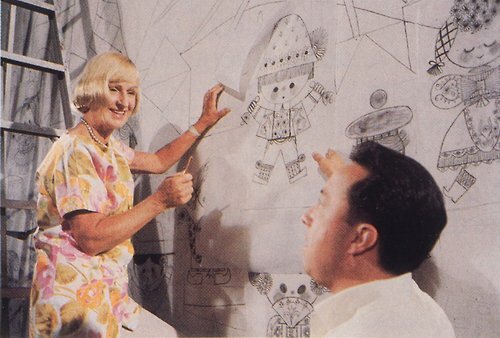 Mary is the renowned artist who worked on it’s a Small World, Peter Pan, and Alice in Wonderland. Also, welcome to the readers of WDW Prep School! Thanks for listening to the interview and taking a look at the Disneyland side of things. Everyone, be sure to join us on August 16th for the first ever Disney Dose meet up at Rancho del Zocalo at 2pm for fun, prizes, and new Disney friends. Will the new Avatar Land or Star Wars Land bring in more visitors? 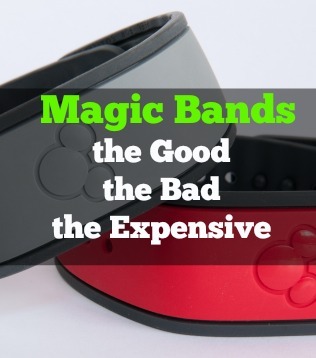 Are MagicBands locking people in to keep them from going to Harry Potter? Does Disney listen to their fans? Is FastPass+ ruining the vacation? In each week’s episode I gave a special Disneyland secret from our book, Disneyland Secrets: A Guide to Disneyland’s Hidden Details. Plus, get a discount for the book when you listen. Mary Blair is remembered for her fantastical colorful artwork and stylized illustrations. Most notable her work is seen in Peter Pan, Alice in Wonderland, and it’s a Small World. Walt Disney brought her out of retirement in 1963 to head the it’s a Small World project for the World’s Fair. 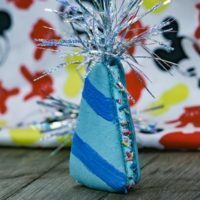 In honor of her amazing work on the it’s a Small World attraction a special doll was added to the attraction. On top of the Eifel tower in the French scene of the attraction, a doll with short cropped hair, blue eyes, and dressed in a yellow poncho and boots represents Blair. Shannon’s Podcast with Before and After Interview– She talks to a guest before and after their Walt Disney World vacation. First Timers Guide to WDW– Follow Shannon’s six step process to simplify the planning process. New York Times Article About Flexibility of Parades– Discusses the secret control room in the bowels of Walt Disney World. Going Between Disneyland and Walt Disney World– Interview with Casey Starnes talking about her recent trip to Walt Disney World after regularly visiting Disneyland. 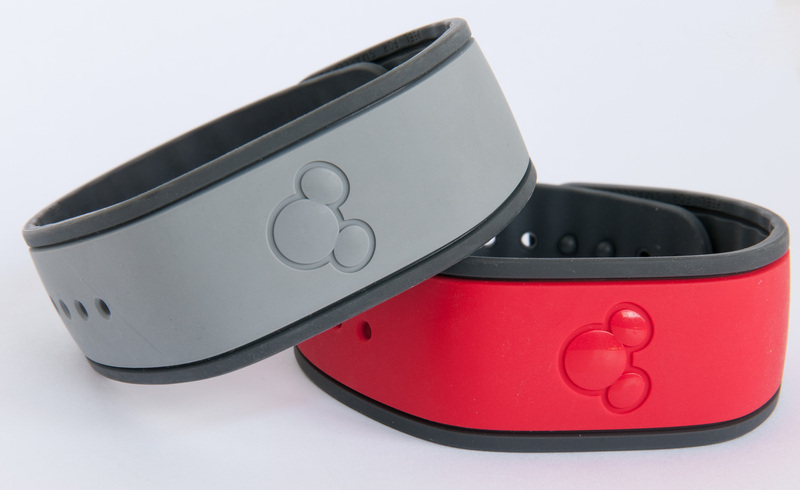 Review of the FastPass+ and Magicbands– Shannon’s review of the new Walt Disney World systems. This week we are giving away a copy’s of Shannon’s new eBook all about planning your Walt Disney World vacation and a copy of our Disneyland secrets eBook. Right now, the best way for you to help the show is to leave a review on iTunes. Each review is ridiculously helpful and very much appreciated. I hope that you enjoyed listening to Shannon and me discuss Walt Disney World and the rise of FastPass+ and MagicBands. My favorite Disney Parks memory is easy… on December 10, 2005, my girlfriend and I visited Epcot first thing after arriving in Orlando. We were jet-lagged but I had something very important to do. After riding Spaceship Earth (back when Jeremy Irons was the narrator, though my favorite is still Walter Cronkite)– during which she basically fell asleep– we walked to the big Christmas Tree in between Future World and World Showcase. I had her look at the tree, I took a step back, took a knee, and asked her to turn around. I asked, she said yes, and we spent 10 days in The World celebrating our engagement and starting our wedding plans. We’ve been married just over 7 years now and have a beautiful son that we’re taking to Disneyland for his first trip this coming December. How very nice. Good luck to the future. Thanks for sharing your story. I went to my high school’s Grad Nite at Disneyland in the late 80’s. That’s still my favorite memory, going on all the rides and hanging with my friends. I’m taking my kids to WDW for the first time — for ALL of us — in November. Hoping to make more amazing memories then! My best memory so far is seeing my super talkative daughter become completely speechless in the presence of any of the princesses she saw for the first time in DW two years ago. It was priceless. That’s so cute. Thanks very much for sharing. My favorite Disney moment was in 2011. It was my 3 year old son holding Buzzes hand. He absolutely refused to let go. He was so happy to see Woody and Buzz. And we are planning a trip for 2015. And I would love to relive some magical moments with my now 9 and 7 year old boys. Thanks for all the advice. I always hope to make a new memory. My favorite memory about Disneyland is actually a story that without Disneyland I might actually not even be here. My Dad who grew up in Michigan went into the Navy and was sent to San Diego. He had two younger sisters who came out to visit him, and he took them to the beaches and Disneyland, where they fell in love with it. They went back home to Michigan and told their mom that they needed to move to California. Their mom worked at a department store that just happened to have a store in Bakersfield, CA and she put a request in to transfer, which was approved. They moved to Bakersfield which is where my Dad would move to once he got out of the Navy, and where he would meet my Mom. Without my aunts falling in love with Disneyland and asking my Grandma to move to California, I might not even be here. As I grew up in Bakersfield we would go to Disneyland a couple of times each year, usually once in the summer and always around Christmas. As I father myself, I continue to keep the Disneyland visits going with my kids. One of our bucket list trips is to do a DisneyWorld visit and DisneyCruise which we are now planning (and saving for) to do next year. My favorite memory is when we took our youngest son on the Haunted Mansion ride when he was about 2, he loved it & the face he made at all the activity going on in the mansion was priceless. To this day he will ride the Haunted Mansion over & over, especially at Halloween time. I am taking my family to Disney World for our first trip in Spring 2015. This as been several years in the making and we are all very excited to go make some memories. My favorite memory is from our first trip to Disney World in 2008. My daughter was only two years old as was her cousin, who was also with us. We were all on Main Street ready for the parade. My daughter was on her dad’s shoulders and my nephew was on his dad’s shoulders. As the parade passed by, those two kids started babbling back and forth to each other. We laughed so hard because we couldn’t understand a word, but they sure seemed to know what the other was saying. They’d point at the parade and look at each other just carrying on a conversation. That is my absolute favorite memory, although I do have several. So many great memories from Waly Disney World. My favorite memories a a child were visiting all the deluxe resorts with my Dad on our day off! I always thought they were so amazing and I am excited to be staying at the Wilderness Lodge with my family in February! 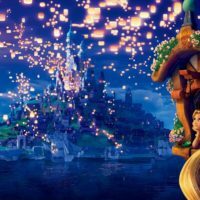 My favorite Disney memory was watching Wishes for the first time with my husband and daughter. There were literally tears of joy running down my face while watching the fireworks and their faces. From that moment on, we as a family have been hooked on Disney and we are planning our 3rd trip to the World this Christmas. We are also trying to plan a trip to Disneyland in the near future! 2013 was our BEST Memory ever! July 17th I was lucky enough to get into Club 33 with 33 other Disney Geeks to enjoy a great meal, wonderful friends and to hear GREAT Walk Disney Stories from Joe Cosgrove an original member of Club 33 who was invited by Walt himself to enjoy the club. This happened to be my Boyfriend’s and my first date as well so it was a double whammy! I will forever remember this day and have made a Friend for life in Joe! Thank you Joe and Janet for your stories and for showing us your Disney side! It was 2011 when my 3 year old son was in love with Stitch… He ran up to stitch as soon as he saw him and started to tickle him…. He just kept tickling Stitch’s leg(Cause that’s all he could reach). He still talks about that day as if it was yesterday. And it was over 4 years ago. Can’t wait to make more magical moments at Disney World!!!!! My favorite memory is dancing with Gepetto as a child. We love Disneyland and are planning our first wdw trip! Taking a dear friend to DisneyLand for the first time and reliving the many great experiences that is Disney. It’s a Small World, watching the parades in awe, spinning those crazy teacups, oohing and ahing at the fireworks, meeting so many characters and creating wonderful new memories. Best Disney memories were as a kid buying an autograph book and walking around meeting characters to get photos & autographs. Now as an adult seeing my daughter do the same just makes it all seem wonderful and I absolutely love seeing that smile and enjoyment I felt as a kid! We love Disneyland! Great podcast w/ Shannon btw!! Thanks very much. 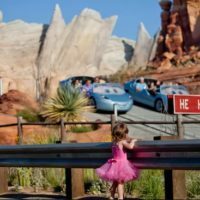 If you are interested in planning and Disneyland, may I recommend our other site MickeyVisit.com. It has all of the planning information you need to have a great trip.